This week on the Authentic Influencer podcast, we’re talking all about the magic of systems and automation. Whether you would describe yourself as an organized person… or not… systems are a vital component of a thriving, sustainable business. Automation can be hard to implement initially, but we can guarantee that the work you put in will be far less taxing than the stress of not having systems in place! There’s a good chance that you actually already have some systems in place. Take some time to investigate the systems that are working for you. 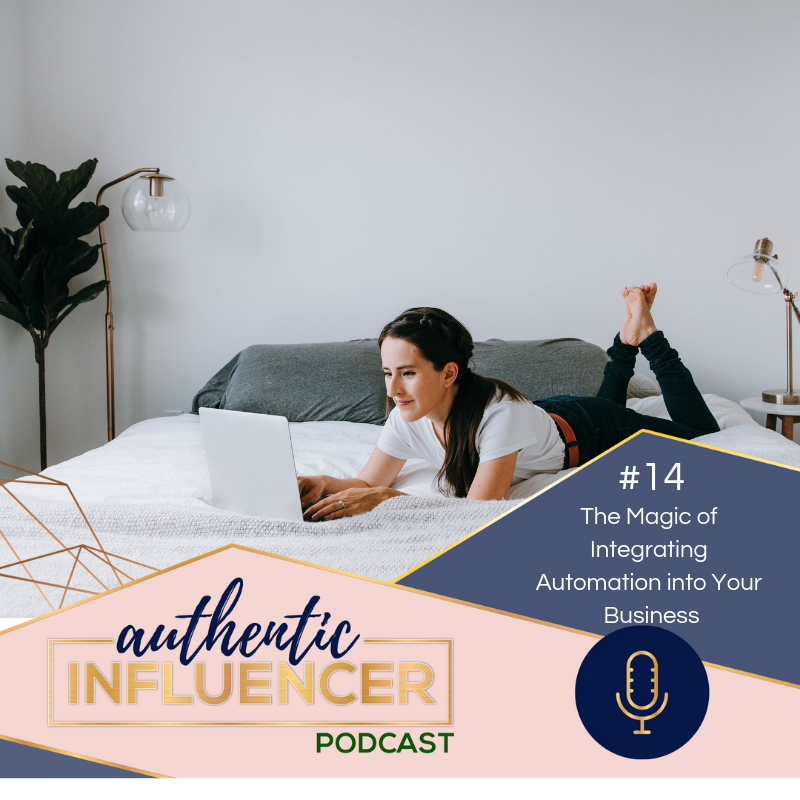 In this episode, we’ll dive a little deeper and discuss some automation systems that could be a life changer for your business. When implemented effectively, these tools can cut out a lot of the need to seek out clients and creates space for the ideal clients to find you. Sound too good to be true? Listen in to learn more. Our challenge for you this week is this, identify one area of your business that needs a system. You can do this by asking yourself what area is a little bit out of control or is really time-consuming. What steps do you need to take to put a system in place? If you need some help figuring out how to incorporate systems and automation into your business, we’re here to help! Sign up for our program socialtenacity.com/masterclass, start making systems work for you, and get your sanity back!